Simply put, no. You cannot ship wine to a friend or to another state via FedEx, UPS, or the Post Office. It is not legal to ship wine if you are not a licensed retailer or distributor. It is not legal to ship wine directly to consumers in many states. It is not legal to ship wine via the USPS. It is not legal to ship wine into the country without an importer's license. You can only send wine via a licensed third-party, like a winery, a wine store, or a wine of the month club. There are services in wine country licensed to ship wine on behalf of wineries, and they do it for a hefty premium. If you have already purchased wine and you want to ship it, you are out of luck. Any means you have available to you would be illegal. Unless you can sweet-talk a local wine store or a wine delivery service like the ones in wine country mentioned above. If you have not already purchased wine to send, hooray! You can buy wine from any licensed retailer and have it shipped. Some local wine stores will ship wine for you, but the easiest way to send wine is to order online, whether through a wine store like Wine.com or a wine of the month club. How much does a case of wine weigh? A case of wine weighs 40 to 50 pounds. Each bottle of wine weights 3 to 4 pounds and there are twelve bottles in a case. The packing materials and box contribute to the weight, too. While the wine inside a bottle always weighs roughly the same amount, the weight of the actual bottles can vary greatly. When a winery chooses their wine bottles, one of their considerations is how heavy the bottles themselves are. They may choose heavy bottles because it creates a more impressive experience. The unfortunate side effect of that is it costs more to ship those heavier bottles. Buying wine online? Try a 12-bottle wine club for the best prices. Many factors come into play when figuring out how much it costs to ship wine, but on average it costs a business $40-60 to ship a case of wine from coast to coast in the United States. Many online wine stores charge customers a reduced shipping fee ranging from $10-25. The shipping costs for the stores grow depending on whether the destination is a business or a home, how heavy the actual bottles are, how big the box is, and what kind of discounted rates the company has negotiated with the shippers. Can wine be shipped for free? You have a few options if you want to send wine to someone (or yourself) but hate paying for shipping. Join a wine club with free shipping or give a wine club gift with free shipping. Join the Wine Stewardship program at Wine.com. It's like Amazon Prime, you pay $49 per year for unlimited free shipping. Since Wine.com has the biggest online catalogue of wine, this is your best bet for cheap wine shipping. Spend $150 at on-demand alcohol delivery service Saucey. Why does it cost so much to ship wine? Small shipments of wine are heavy, and large shipments of wine are bulky. Shippers like UPS charge based on weight, unless a box exceeds a certain size, and then they charge based on size. Adult Signatures are labor-intensive so shippers charge $3 extra for the service, which is required by law. Delivering to residences often results in more missed deliveries (and second delivery attempts), so shippers add a surcharge for delivering to homes. Delivering to rural areas means more driving per package delivered, so that gets factored in to the cost, too. Gasoline prices and the cost of labor keep going up so that impacts shipping costs, too. Some smaller shippers offer wine deliveries in climate-controlled vehicles. That adds cost, too. Purchasing shipping materials like boxes and protection for the wine bottles. Packing the bottles into the boxes and preparing them for shipping is a labor cost. Paying a delivery service to manage deliveries for them (though often these services get such great shipping rates this ends up being a wash for the customer). How far the wine has to travel has a lot to do with actual shipping costs. Most of the wine produced in the U.S. ships from the west coast, mostly California. And much of the wine imported from Europe is warehoused on the east coast, in places like New Jersey. Some wine clubs choose warehouses in the midwest to keep costs roughly equal as wine gets shipped to each coast. Shipping wine to a home or business impacts the cost, too. 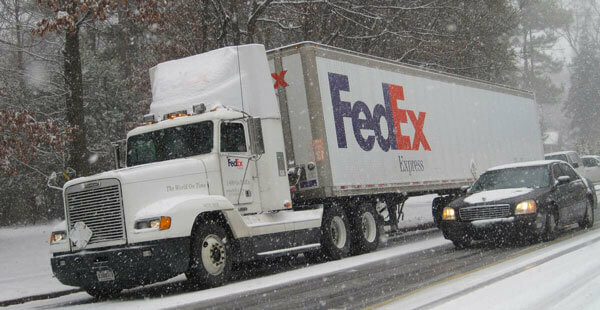 FedEx (and most other carriers) charge more to send packages to residential addresses as opposed to business addresses. When you deliver to an office during business hours, you drop off the package, get a signature, and you’re done. When you deliver to a residence, a wine shipment which requires an adult signature and can’t be left at the door. If no one is home, you have to take the time to leave a notice and attempt redeliver the package. That gets expensive and increasingly, wine stores and wine clubs are passing that additional cost on to the consumer. Shipment size has a big impact on the cost, too. It doesn't cost twice as much to ship 4 bottles, than 2 bottles, so ordering larger shipments keeps the per botle shipping cost down. Wired For Wine ® is an online wine store that only carries 90+ point wines. Shipping is free with 6+ bottles. Wine.com is the biggest online wine store. Shipping is always free for Wine Steward members. 90+ Cellars is an online wine store that sells their own brands. Shipping is always $9 for orders of 6+ bottles and free for orders of 24+ bottles. In California, Oregon, and Washington shipping is $18 for 6-23 bottles. Their wine club includes shipping. Winc is a huge winery and wine club that offers free shipping to members on shipments of 4+ bottles.